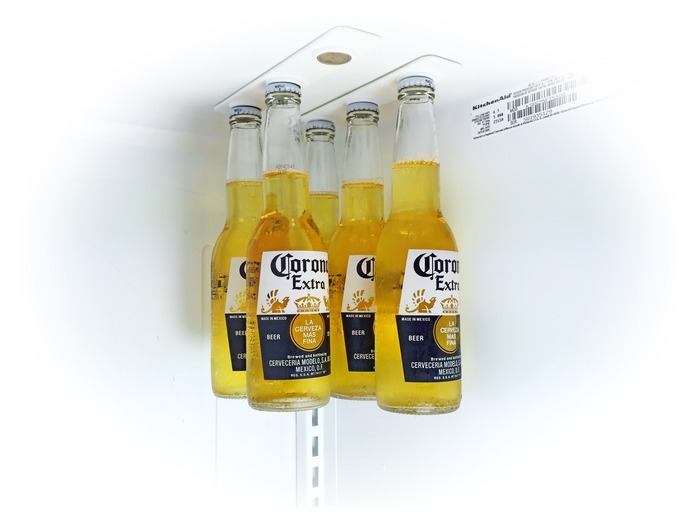 BottleLoft Saves Some Space In Your Fridge | OhGizmo! By David Ponce on 10/22/14 • Leave a comment! 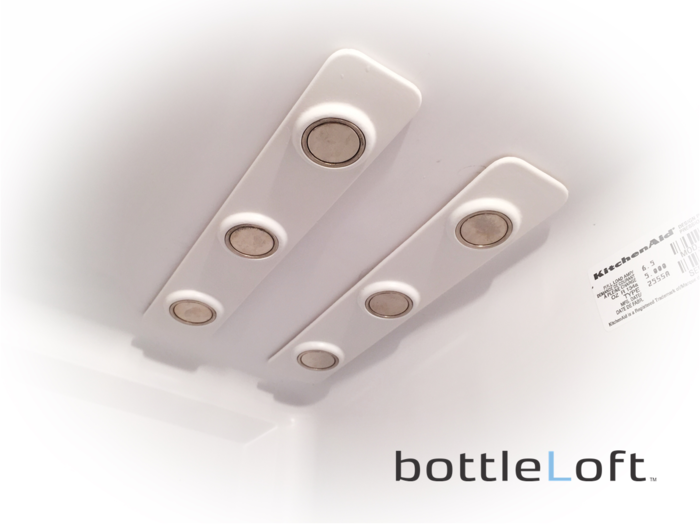 Once again showcasing how we definitely do live in the first world, the BottleLoft is a device specifically designed to make more room in your fridge for beer. Because a full fridge is a problem, in some parts, and making room for beer is definitely an essential necessity. Ok… we’re only being a little bit sarcastic, because we actually do like beer and think this is a pretty cool device. It uses Neodymium magnets to hold on to your bottle caps, attaches to the “ceiling” of your fridge using a special 3M tape and can hold up to 88lbs under ideal conditions. That should be many times more than enough to hold 6 beers, so we’re giving the BottleLoft a hearty thumbs up. Especially at the $39 pledge pricing.